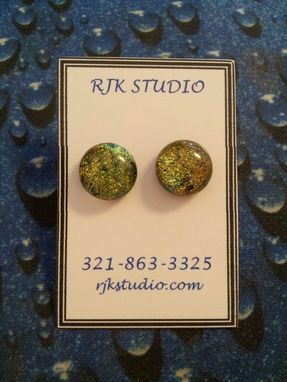 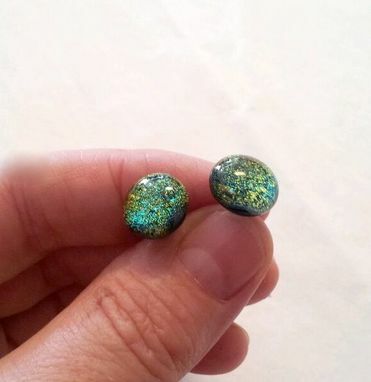 These fascinating stud earrings get their one-of-a-kind look from the dichroic glass used. 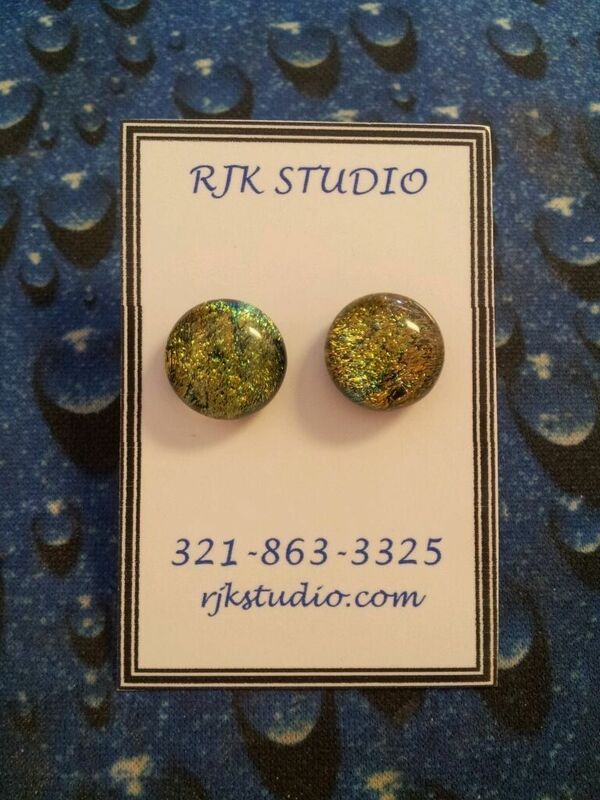 The stipples of green and yellow in the fused glass lend this jewelry tons of character. 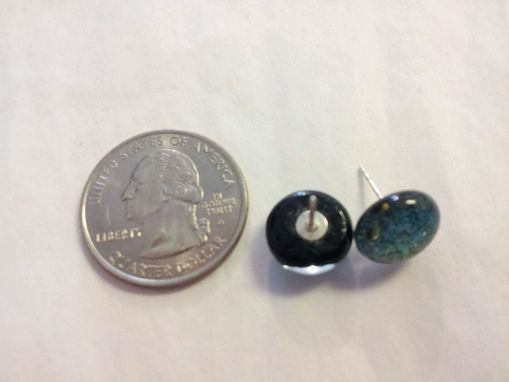 The gorgeous glass studs measure a substantial 10mm, and are mounted on posts of sterling silver.